Applied Sciences is an applied research and development team dedicated to creating the next generation of computer interaction technologies. The interdisciplinary group focuses on the synergy between optics, vision, electronics, software, manufacturing technology, materials science, acoustics and signal processing using other sensory inputs to create novel human computer interfaces. These explorations help incubate next generation technologies and experiences across several of Microsoft’s devices such as Surface, Xbox, Mobile, Hub and HoloLens. The team works collaboratively with these business groups as well as other research divisions within Microsoft, such as Microsoft Research, to not only push beyond the boundaries of present technical feasibilities but also to transfer fundamental concepts into shipping solutions that can be experienced by millions. 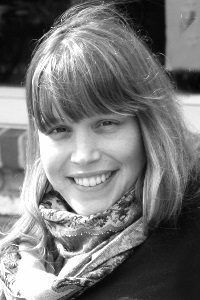 Cati Boulanger (Vaucelle) received her Ph.D. in 2010 from the Tangible Media Group at the MIT Media Lab under the guidance of Dr. Hiroshi Ishii. 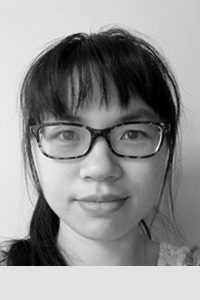 She specializes in the design of hybrid physical/digital objects for play, performance and psycho-physiotherapy exploring the simplicity of tangible and gestural object interaction combined with the flexibility of digital systems. This research yields applications in fields as diverse as video making, technology-mediated storytelling, gaming and clinical intervention. 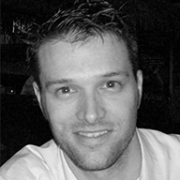 With over a decade of professional and academic experience, Boulanger’s expertise includes human-computer interaction, prototyping (software, hardware, fabrication), educational toys, cognitive science and healthcare. Boulanger is a 2011 European Union Commission expert appointee in the domain of Information and Communication Technologies (ICT), a 2008 Rockefeller Foundation New Media Fellow Nominee, a 2005 John F. Kennedy Scholar for her studies at Harvard University and former Mattel Fellow for four consecutive terms. Her technology-infused artworks and installations have received numerous grants, awards and recognitions. Boulanger graduated from MIT in 2002 with a Master’s in Media Arts and Sciences and then from Harvard University in 2006 with a Master’s in Product Design. Knowledge shopper at heart, in France, she received BS degrees in computer science (computational linguistics, AI) and applied math (economics), with a minor in fine arts (photography) as well as a master’s in computer sciences in conjunction to the French equivalent of an MFA. Boulanger is the author of over thirty peer-reviewed academic publications. Her work has been featured in various internationally recognized design, art and sciences publications including the I.D. Magazine Annual Design Review, the New Scientist, LA Times, Make Magazine, Boston Herald, Boston Globe, The Sydney Morning Herald, Televisual Magazine and in over 300 international blogs with project references and interviews such as Boing Boing, Engadget, PopScience, CNET news, Make, Forbes, Discovery Channel, Tech TV, WoW Insider, Gizmodo and We Make Money Not Art. By regularly consulting with various technology and consumer electronics firms, Boulanger’s research has been incorporated into several innovative products by Fischer Price, Lego, and Mattel. Paul Dietz joined Microsoft Corp. in the summer of 2007. He is currently Assistant Director of Research in the Applied Sciences Group. 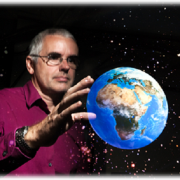 In addition to helping coordinate the efforts of the group, he maintains a diverse program of research in interactive systems. Recent projects include anti-ghosting keyboard technology (available in the SideWinder X4), and Mayhem – an open source application that lets non-programmers connect everything to everything else. Dietz came to Microsoft after having worked in several prominent research groups. Most recently, he worked at Walt Disney Imagineering Research and Development and Mitsubishi Electric Research Laboratories (MERL). 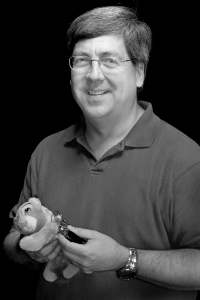 At Disney Imagineering, he ran the Location Sensitive Smart Toy project, which resulted in Pal Mickey, a popular plush Mickey Mouse that served as a chatty companion in Walt Disney World. During Dietz’s seven years at MERL, he led many successful projects, including iGlassware, Submerging Technologies and DiamondTouch – an early example of surface computing. Dietz holds Ph.D. and Master’s degrees from Carnegie Mellon University and a Bachelor’s degree from the Massachusetts Institute of Technology, all in Electrical Engineering.In his spare time, Dietz likes to do projects and often volunteers his skills to local organizations that work with kids. He has been a robotics mentor, taught classes in animatronics, and worked on displays for the local science museum. Despite a disturbing lack of musical talent, he is often seen on the wrong end of a trumpet or flügelhorn. Ben D. Eidelson is a Research Program Manager in the Applied Sciences Group at Microsoft Corp. His primary work is to build research prototypes for new hardware-software systems that create a better future for human-computer interaction. His main research interests are touch interfaces, pen computing and mobile devices. 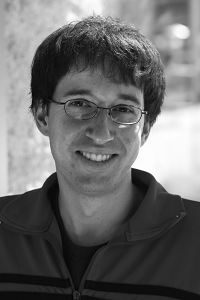 Before joining Microsoft, Eidelson interned at Apple Inc. in the iPod Division as well as at Stanford University’s Integrated Circuits Laboratory and the Bosch Research and Technology Center, where he worked with micro-electrical-mechanical (MEMS) systems.Eidelson holds a Master of Science and a Bachelor of Science in Electrical Engineering from Stanford University. Johnny Chung Lee is a Researcher in Microsoft Corp.’s Applied Sciences Group and explores novel input and output devices that can improve interaction with computing technology. His main responsibilities include advising the direction of existing hardware product lines and developing prototypes that may be developed into new products. Lee joined Microsoft in June 2008 after graduating with a doctoral degree in human-computer interaction from Carnegie Mellon University. His research work spans a variety of topics including projection technology, multitouch input, augmented reality, brain-computer interfaces and haptics. 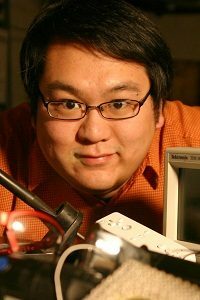 Lee is best known for his video tutorials on using the Nintendo Wii remote to create low-cost whiteboards and virtual reality displays, which have garnered over 10 million views. In 2008, he was named to the prestigious TR35 list presented by Technology Review magazine to recognize the top 35 researchers in the world under the age of 35. 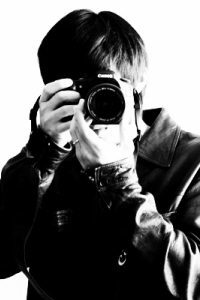 Lee enjoys photography, filmmaking, playing music and finding new projects that usually end up consuming his free time. John Lewis is a Research and Development Program Manager in the Applied Sciences Group at Microsoft Corp., where he researches display and image capture systems. He joined Microsoft in 2006 and worked to develop the display and image capture options for Microsoft Surface. Before Microsoft, Lewis worked at Microvision Inc. where he built a research group to develop scanned beam technology. While working at Microvision, he authored or co-authored 22 Microvision patents and patent applications. Lewis also worked at Polaroid Corp. where he developed a laser printer media system for medical diagnostics. Lewis holds a Bachelor’s degree in Physics with a minor in Mathematics from the Massachusetts Institute of Technology. Jay Meistrich prototypes new hardware and software to improve human-computer interaction. Before joining Microsoft Corp., Meistrich was an intern at Electronic Arts Inc., where he wrote much of the Wii Remote (“Wiimote”) code for the game “Boom Blox” and also worked closely on the Havok Physics engine. Meistrich holds a Bachelor of Science in Computer Science from Carnegie Mellon University. 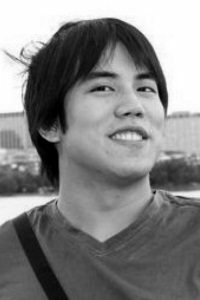 While at Carnegie Mellon, he worked with the Game Creation Society and created five video games, starting with a 2-D side scroller and then moving up to 3-D action games, for which he designed advanced graphics and physics. In his free time, Meistrich likes designing and playing video games, pursuing photography and enjoying recreational Frisbee. Mike M. Paull is a Director of Advanced Research in Microsoft’s Applied Sciences Group. He has designed hardware products and created device businesses for Microsoft since 1991, over two careers spanning a total of 15 years. Mike designed or managed cross-functional teams that prototyped Microsoft’s first optical mouse, and shipped the first ergonomic keyboard, digital joystick, force-feedback joystick, digital PC gamepad, home networking kit, and an activity-based home remote control. Mike’s technical interests are in pretty much anything with lots of moving parts, robotics and automation, human-machine interaction, sensors, transducers, materials, tooling and processes. His current Applied Sciences dual hats are: finance and operations for the team, and sensors, processes and automation for hardware devices. He holds 28 patents. Before joining Microsoft, Mike designed consumer products for clients of Stratos Product Development Group, cardiac monitors and defibrillators for Physio-Control, patient monitors for SpaceLabs, photo-therapy and medical processing systems for Olympic Medical, and served in the military as a missile fire control and maintenance specialist in Europe. In his free time, Mike’s passions include global motorcycle adventure touring, the preparation and consumption of food and drink, reading, movies, music, any project or maintenance chore involving many tools, and pretty much anything with even a mere whiff of, or totally derived from . . . bacon. Bernie Rihn is a hardware engineer who dabbles in firmware and software. Prior to joining Microsoft, he interned at Apple Computer doing thermal design and at Better Place doing electric-vehicle-conversion program management. While at Microsoft, Rihn interned with Surface (the big multi-touch table), and he resumed full-time as the lead EE for Surface (the multi-touch table with sensor-in-pixel technology). Later, he provided EE/ME design support for two projects related to Surface (the tablet). While working on product teams for the various Surfaces, Rihn also provided EE and ME prototyping support for the Applied Sciences Group. Rihn built the backlight driver electronics for four proof-of-concept Surface units with folded “wedge” optics and for the first 3D, auto-stereoscopic display shown by Steven Bathiche at SID in 2010. Rihn has focused much of his research energy into new display and camera technologies with the hope that he might help enrich our current device interaction models. He especially looks for ideas that reduce round-trip interface latency, reduce interface parallax, or increase interface transparency, flexibility, and expressiveness. Rihn studied electrical engineering at Stanford University where he concentrated in analog design and systems design. In his free time, Rihn enjoys mountain biking, skiing, and bitcoin speculation. 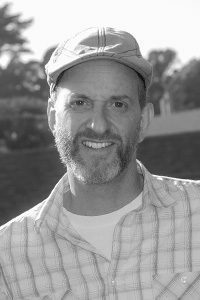 Dan Rosenfeld is a researcher in the Applied Sciences Group at Microsoft Corp., where he leads projects that aim to advance the state of the art in human-computer interaction (HCI) through the development of new devices and techniques. Rosenfeld also manages the university research program for the Microsoft Hardware Group. Before joining Microsoft, Rosenfeld worked as a Research Scientist at New York University, where he focused on HCI. At NYU, Rosenfeld developed the Planar Manipulator Display, the first surface computer with a scalable system for moving physical objects under computer control. Rosenfeld co-founded two companies in the toy and video game industry. At the first of these companies, HeadGames, Rosenfeld served as vice president of product development, where he led creation of a video game for the SEGA game system that became the best-selling title of March 1995, and the first arts and music education title for a mass market video game platform. Rosenfeld served as vice president of product at the toy development firm Smart Matter, where he was responsible for development of the Brainplane, a semi-autonomous remote-control toy airplane. Matheen Siddiqui is a Researcher in Microsoft Corp’s Applied Science Group. Prior to Joining ASG, Siddiqui received his BS in Computer Systems Engineering and an MS in Signal Processing from Boston University in 2000 and 2002 respectively. Following this he worked as a Senior Software Engineer at Cognex, solving computer vision, calibration, and image alignment related problems. He received his Phd in Computer Science from the University of Sothern California, Los Angles in August 09. 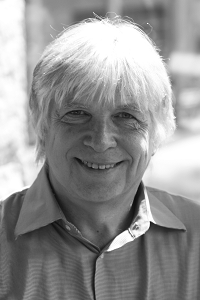 His research interests include computer vision, machine learning, pattern recognition, image processing, motion capture, computer graphics, and scientific computing. In his free time, Siddiqui enjoys hiking and long distance running. Quintus Travis is a Principal Research Program Manager in the Applied Sciences Group at Microsoft Corp. Prior to joining Microsoft, Travis managed a company co-founded with his brother Adrian to develop Wedge optics. He worked in a Monsanto-Cargill JV before this. Despite rowing, Quintus gained an Economics degree from Cambridge University. He also has an MBA from Harvard. He is a former Royal Marine and Bain & Company alumnus. Tristan Trutna is a mechanical engineering researcher with the Applied Sciences Group working on design and packaging of novel mechanisms and user interfaces. Before joining ASG, Tristan earned Bachelors and Masters degrees in Mechanical Engineering from Carnegie Mellon University and University of Michigan respectively, with research projects in robotics, medical devices and MEMS microactuators. Away from the office Tristan likes rock climbing, cooking, committing the whole internet to memory, and Sweet Wheels hand-scooped ice cream sandwiches. 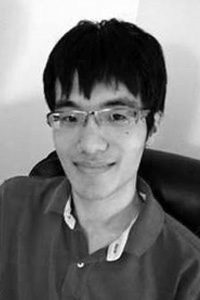 Liang Wang is a researcher in Microsoft Corp.’s Applied Sciences Group, where he has been working on the invention and development of novel human-computer interfaces using computer vision technologies since 2010. 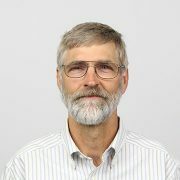 His research interests include a variety of topics in computer vision, computer graphics, and image processing, especially on stereo matching, structure from motion, 3D reconstruction, image-based modeling and rendering, segmentation and matting for live video, and projector-camera display systems. 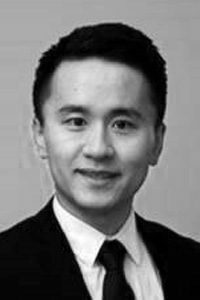 Liang Wang received his Bachelor’s degree in Computer Science and Engineering from Beihang University, Beijing, China in 2004. He then received his Doctor of Science degree in Computer Science from University of Kentucky in 2012. 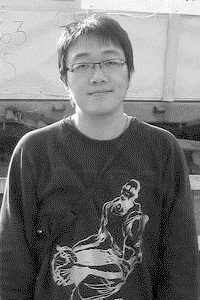 More information about Liang and his research can be found in his research homepage and Google scholar profile. In his free time, Liang enjoys travel, fishing, and playing basketball. 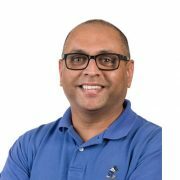 Nitesh is currently pursuing his PhD in Optics at College of Optics and Photonics (CREOL) in University of Central Florida. He pursued his undergraduate (B.Tech) in Engineering Physics from Indian Institute of Technology Guwahati (IITG). His current work aims at developing a suitable photorefractive composite system for holograms that can be erased and rewritten at video rates which can have potential applications like telepresence and 3D display. This includes material development for broad band sensitization (RGB) with high photogeneration efficiency, faster charge transport and highly electro-optic nonlinear chromophores to achieve high diffraction efficiency and faster response time. Besides this, he has rich experience working with Optical Fibers and microresonators. He loves problem solving and is keen to looking for solutions to challenging problems. Being a nature lover, he likes visiting different places. In his spare time he can be found playing guitar, singing, travelling and solving mathematical problems. Ross Boltyanskiy is a research intern in the Microsoft Applied Sciences Group. Ross is working on optimizing light transmission through random scattering media by manipulating the phase profile of incident light. Ross was born in Ukraine and immigrated to the U.S. in 1999. He is currently a PhD student in Physics at Yale University. His specialization is in biophysics, particularly in how living cells experience forces and exert forces on the outside world. To that end, Ross has been using microscopy techniques to understand the mechanics of single cells. Previously, he received a B.A. in Physics and a B.S. in Mathematics from the University of Chicago. Outside of work, Ross loves to read especially Jewish philosophy and Russian classics. He also enjoys all kinds of sports, but basketball and ping pong have a special place in his heart. An Dai is a Ph.D. candidate majoring in electrical engineering at Princeton university. Her research interest is organic electronics, in particular, focusing on engineering electrical properties of materials and interface energetic alignment to improve the performance of organic light-emitting diodes (OLEDs) and organic photovoltaics (OPVs). The primary idea is to molecularly dope the organic semiconductor to increase the conductivity and work function, such that an Ohmic contact can be created for efficient carrier injection and extraction. An is quite familiar with characterization tools such as ultra-violet photoemission microscopy, X-ray photoemission microscopy, atomic force microscopy, secondary ion mass spectrometry. She also has more than 6+ years hands-on experience on device fabrications and characterization. In her spare time, An loves traveling around the world, experiencing different cultures, nature and local foods. An is also a semi-professional table tennis player and enjoys doing many sports such as tennis, jogging, swimming and flying…an aircraft. Books and music are also An’s best friends. 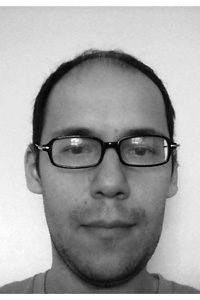 Norberto Goussies is spending this internship developing new algorithms for 3D computer vision. Goussies recently finished his PhD in the Computer Science Department at Universidad de Buenos Aires, Argentina. 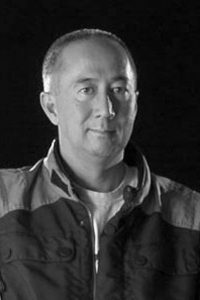 His research is in the area of computer vision and pattern recognition. He has been working in Transfer Learning, Gesture Recognition and Optical Character Recognition. In 2009 he was a Research Intern at Microsoft Research, working in action recognition. Besides research, Norberto likes travelling, music and outdoor activities like hiking. Melanie Hoerr is a 5th year PhD student at the department of textile technologies and textile engineering (ITA) of RWTH Aachen University (Germany). She is working on research and development of smart textiles (intelligent textiles) where her PhD work is focused on medical applications. Her main focus is the R&D of smart textiles by using embroidery technology. By researching the possibilities and stretching the limits of this technology she was able to develop embroidered solutions for different products and prototypes for several applications e.g. textile electrodes for bio signal monitoring (ECG, EEG, EMG) and electrostimulation (EMS), textile antennas, textile touchpads, embroidered textile sensors and actuators, and embroidered carbon fiber reinforced structures. Before starting as a PhD student in textile engineering, Hoerr did an apprenticeship as an industrial mechanic at Miele & Cie. KG (very well-known for their advanced washing machines). Afterwards, she studied mechanical engineering at RWTH Aachen University. Thus, the circle closed when she decided to pursue her PhD in the field of textile engineering. In her spare time, Hoerr is training a young horse, and together they participate in jumping competitions with the goal that he will become an advanced level jumper one day. 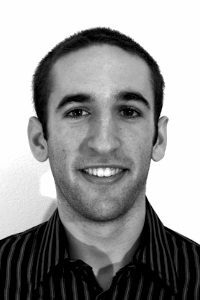 David Rappaport is an intern with the Microsoft Applied Sciences Group, where he is developing novel human-computer interfaces leveraging projected capacitive touch technology. David previously contributed to the development of Type Cover accessories for Surface. 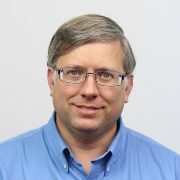 Prior to joining Microsoft, David completed internships with National Instruments, where he worked on motion control applications, and Webscan, where he developed embedded systems for barcode verification. David is currently completing his B.S. degree in Electrical and Computer Engineering at the University of Colorado at Boulder, where he intends to focus on developing assistive technology for children with disabilities during his remaining year of study. In his spare time, David can be found cooking, hiking, coaching his local FIRST robotics team, and working on assorted side projects involving embedded systems. More information about David is available at http://rappaport.me. Daming Xu is currently pursuing his Ph.D. degree in Optics at College of Optics and Photonics (CREOL) from University of Central Florida (UCF). Prior to that, he received a B.S. degree in Information Engineering from Southeast University in 2011. His research at UCF focuses on liquid crystal material characterization and device design for display and photonic applications. These include material development and device designs for achieving fast response time, outstanding image quality, superior color performance, low power consumption, etc. 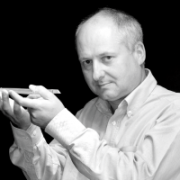 He is particularly interested in high-performance in-plane switching LCDs and some emerging display technologies (e.g. blue phase liquid crystals, quantum-dot backlight, etc.). 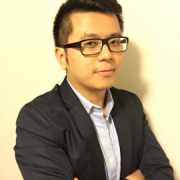 He has 4+ years hands-on research experience on liquid crystal material characterization and device design. As of April 2015, he has published one book chapter, 21 journal papers, 14 international conference papers and one US patent pending. He is the recipient of Society for Information Display (SID) Distinguished Student Paper Award (two years in a row) and SPIE Research Excellence Award. He was President of SID student chapter at UCF in 2014. In his free time, Daming likes reading, travelling, Salsa dancing and surfing. In particular, he enjoys profound discussions on culture and history topics. Zeumault was born and raised in Seattle and attended Garfield High School (class of 2004). After moving to California, he obtained his B.S. in electrical engineering and computer sciences from the University of California, Berkeley in 2010. 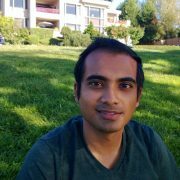 He is currently a 4th year Ph.D. student at the University of California, Berkeley working in professor Vivek Subramanian’s printed electronics group in the electrical engineering department. Zeumault specializes in materials and device characterization; his major course of study is in electrical engineering with minors in physics and material science. The science of his Ph.D. involves understanding the peculiar mobility enhancement of metal oxide semiconductors due to high-k dielectrics. The engineering aspect involves exploiting this understanding in the design of TFTs so as to achieve field-effect mobility values which are comparable to sputtered oxide films. Zeumault loves all things nature and physics and specifically enjoys reading books on its pedagogy and modern theory in his spare time, when he’s not busy taking pictures/videos of his curious black & white Siberian cat named Mouska or out on an adventure with his wife or friends. Edward Zhang is a Research Intern in the Microsoft Applied Sciences Group. 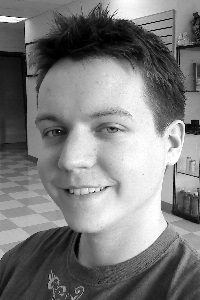 His research interests are at the intersection of graphics and vision; currently he is investigating practical inverse rendering, including appearance capture and inverse lighting. Edward obtained a Bachelor’s degree in Computer Science from Princeton University in 2013. He is pursuing a PhD in Computer Science and Engineering at the University of Washington under the supervision of Brian Curless and Michael Cohen. Outside of research, Edward is an avid classical musician, proficient in piano, violin, viola, and flute. He is also an enthusiastic board gamer. 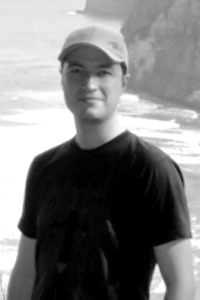 Amr Bakry has strong theoretical background and computer software engineering experience. He is currently doing research in computer vision. In the Applied Sciences Group, Amr is investigating speech recognition. Amr is a PhD candidate in Rutgers, the state university of New Jersey. 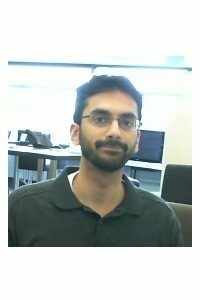 His thesis is for building a novel machine learning methodology for solving several computer vision problems such as lip-reading, object classification and view point estimation in images and activity recognition. 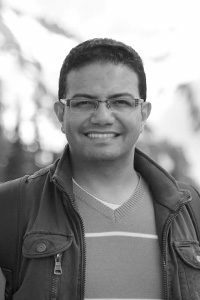 Amr has received his Master’s degree in Applied Mathematics from Alexandria University in Egypt, and his Bachelor’s degree in computer science and automatic control from the same university. Amr likes to spend some time with his small family. His preferred hobby is soccer. In his spare time, Amr likes reading, swimming, and playing squash and volley ball. 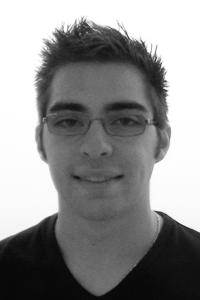 Antonio Gomes is a Research Intern with the Applied Sciences Group. 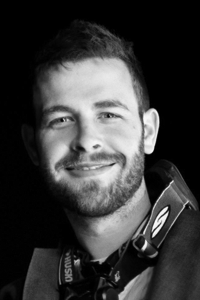 His interests include hardware development, actuated interfaces, data visualization, wearables and sensor fusion. Prior to joining ASG, Antonio has been exploring how shape transformations of computing devices can be used as a physical embodiment of software data by combining flexible display technology with smart materials. 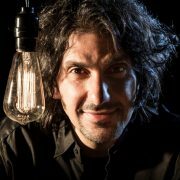 Antonio obtained Bachelor’s Degrees in Computer Science and Communication and Multimedia Design, from ISEC and ESEC respectively, a Dual Master’s Degree in Entertainment Technology from Carnegie Mellon University and University of Madeira and he is currently pursuing a PhD in Human-Computer Interaction at Queen’s University. Outside work, you are likely to find him building and flying FPV multi-rotor copters, practicing sports, travelling and enjoying Asian cuisine. You can find more information about Antonio at www.behance.net/apgomes. Sihui He is a PhD student in College of Optics and Photonics at the University of Central Florida. Her research is on the development of liquid crystal devices for display and sensor applications. She developed a projection display using a new liquid crystal material with a fast response, which can lower power consumption and improve resolution density. She also developed a liquid crystal sensor to detect biomarkers of liver diseases and improved the sensitivity of the sensor by a factor of ten. Originally, Sihui is from China and got her Bachelor’s degree in Information Engineering in Zhejiang University in 2009. Currently, she is at the University of Central Florida pursuing her PhD in Optics. Besides research, Sihui likes outreach activities and served as president of SPIE Student Chapter at UCF in 2013-2014. She also likes outdoor activities such as hiking and swimming. 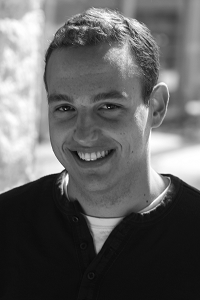 Daniel Höglander is a Research intern in the Microsoft applied sciences group. Daniel is working with virtual assistant concepts, including both external and interface design along with building functional prototypes. 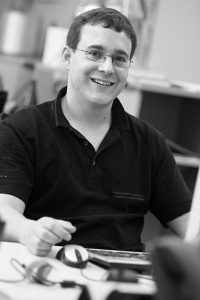 Daniel has a keen interest in product design, stretching from external design to interface design. Production, manufacturing and materials is also something Daniel finds very interesting. 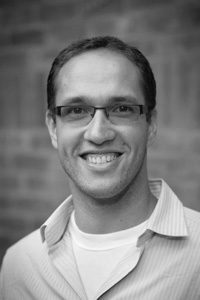 Daniel is studying Industrial Design Engineering at Chalmers University of Technology in Gothenburg, where he received his BS in 2014. After this internship, Daniel is heading back to Chalmers to finish his master degree. Beside studying, Daniel is very interested in sports, especially soccer where his favorite team is “Bajen” from Stockholm. He also likes traveling, running and music. If there is enough time, he likes to read, especially about history. If he had more space at home he would try to build more stuff, like the bicycle he built in his father’s garage. Bolin Hu joins the applied science group as a summer intern in 2014, and is working on manufacturing technology for novel display components. Bolin is currently pursuing her Ph.D. degree in Electrical and Computer Engineering at Northeastern University, and she received an M.S. degree in Physics from Northeastern University in 2009 and a B.S. degree in Optics Information and Technology from Nankai University in China in 2007. 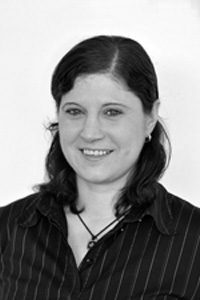 She has written 16+ journals / letters publications in the past 3 years, and 5+ years of hands-on research experience on optical, magnetic and semiconductor material and device fabrication, characterization and testing. These valuable experiences prepared her high adaptability with applied physics and electrical engineering background. In her free time, Bolin likes traveling, photography, reading books on culture and history, Skiing, Salsa dancing, Yoga, cooking and planting flowers. She is also very active in the Chinese young professional networking organization, and plans outdoor activities and social events. 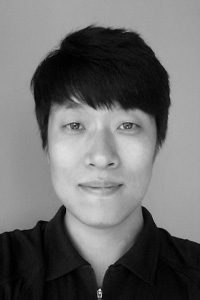 Woosuk Lee is a Microsoft Research Intern in the Microsoft Applied Sciences Group, working on human-machine interaction. His research interests include hardware and software architecture for embedded computing systems, biomedical circuits and systems with an emphasis on reliable system design, low power design, and micro-scale energy harvesting. 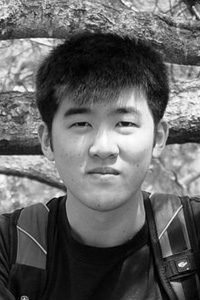 Woosuk is currently pursuing a Ph.D. degree in Electrical and Computer Engineering at Purdue University, working with Professor Vijay Raghunathan. He has designed dozens of embedded systems platforms that scale from an implantable medical device to an industrial network-based master controller for power plant automation. His designs share low power operation as a common trait and he is the winner of ISLPED’14 Design Contest. He was also involved in several international standardization projects, where his team standardized an Ethernet-based industrial automation protocol (RAPIEnet) as an IEC standard. Zhixuan is currently a Ph.D student in Electrical and Computer Engineering at Georgia Institute of Technology. His research is focused on developing optical devices for lab-on-a-chip sensing systems. His work includes design, fabrication, characterization and optimization of miniaturized optical devices on silicon and silicon nitride platforms. Prior to attending Gatech, Zhixuan received his Bachelor and Master degrees from Huazhong University of Science and Technology, China. In his free time, Zhixuan enjoys traveling, photography, soccer, and hiking with his dog, noodle. Chong Ding is a Microsoft Research intern in the Applied Sciences Group, working with Vivek Pradeep. He is interested in exploring sensing strategies to improve the situational awareness of automated video sensor networks. Chong received his BS in Computer Science from the University of California, Riverside and is currently a PhD candidate at the same university, working in the Video Computing Group under Professor Amit K. Roy-Chowdhury. 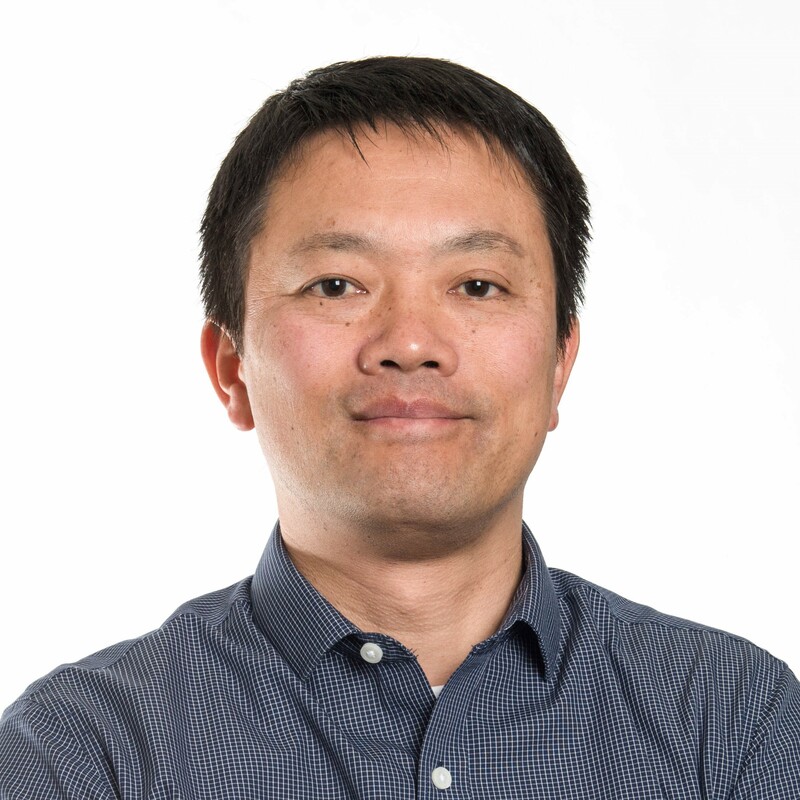 Prior to joining Microsoft he interned at the HRL Laboratories Information and System Sciences Lab and Integrien Corp. More information about Chong and his research can be found in his webpage and Google scholar profile. In his free time, Chong enjoys learning about new technology, playing Magic: The Gathering, video games, and spending time with friends and family. Max is an undergraduate engineering student from the University of Waterloo majoring in Nanotechnology Engineering. His background is in sensor design, and his work is aimed toward improving sensor technology for developing better human machine interfaces. 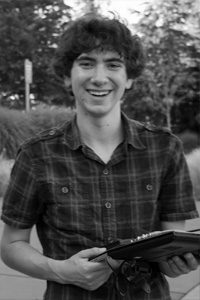 Outside Microsoft, Max is heavily involved with the University of Waterloo NanoRobotics Group (UW_NRG), as the director of fabrication. The group consists of 50 undergraduate students who build soccer playing microrobots to compete in the International Conference on Robotics and Automation Mobile Microrobotics Competition (ICRA-MMC). 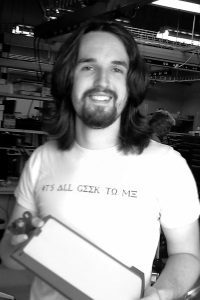 Max has been involved in the group since 2009, and helped lead the group to a first place finish in the mobility competition at ICRA-MMC 2011 using a device that was 300 micrometers in size. In his spare time, Max can often be found listening to, or playing music. His other interests and hobbies include skiing, Frisbee, building headphone amplifiers, and volunteer work on campus. Yutaka Tokuda is a Microsoft Research Intern in the Applied Sciences Group. Yutaka is crazy about 3D floating display and holography to realize genuine mixed reality world where real objects and virtual objects can interact each other without special wearable apparatus. His dream is to activate his home village, Mitsue-mura in Japan, of decreasing population with mixed reality system. 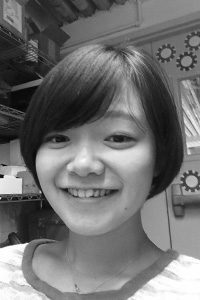 Yutaka is a currently a PhD candidate from the University of Tokyo, working at Anohito Laboratory under Professor Michitaka Hirose’s guidance. He received his B.S. in Physics from Purdue University and M.S. in Mechano-Informatics from the University of Tokyo. 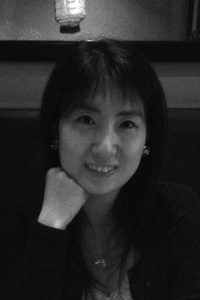 Prior to joining Microsoft, Yutaka worked as a Research Assistant of Japan Science and Technology Agency(JST) in the “Digital Public Art” project. He joined Panasonic Design Group as a rapid prototype developer for future home appliances, and also worked at Google as Rich Media Specialist for interactive advertisement as an FTE while in school. He has developed four kinds of interactive holographic displays and presented the prototypes at National Museum of Emerging Science and Innovation(Miraikan), Asiagraph, Haneda International Airport, and SIGGRPAH 2008 Student Research Competition as Semi Finalist. He won the best paper award at International Conference on Virtual Systems and Multimedia (IEEE VSMM 2010) with a work of “Vortex ring based display“. He loves optics, math, fluid dynamics, procam, tennis, media art, and anime so much. Currently, he is interested in creating holographic living things with robot and 3D display. 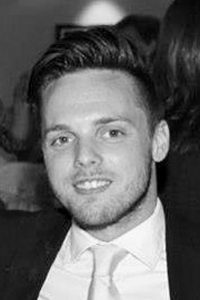 Chris Chalmers is an intern with the Applied Sciences Group working on improving the interactive functionality of webcams. He came to Microsoft as a contracted employee over the summer of 2011 and worked closely with other interns and FTEs on diverse projects. Chris is a second-year undergraduate student at the University of Washington studying computer science. He intends to focus on the software-hardware interface over his next two years of study. In his spare time Chris plays bass clarinet, goes hiking, and does independent programming work. He is currently designing a custom laser tag platform as a personal project. Anatoly Churikov is a Microsoft Research Intern in the Microsoft Applied Sciences Group. 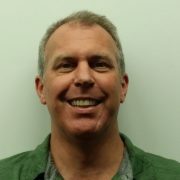 His research interest is in the intersection of computer and human science, and software and hardware design for creating robust HCI technologies for everyday life. Anatoly is currently a Ph. D. student in Computer Science at Immanuel Kant Baltic Federal University majoring in “Math models, numerical methods and software systems”. He is currently working on a Ph. D. thesis “Theory and aspects of implementation of multimodal HCI paradigm on tablet devices”. 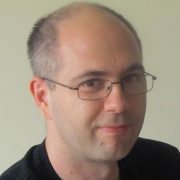 Anatoly participated with the “Natural User Interfaces Group” – an open source community for emerging HCI research as an Application Developer and HCI Researcher. 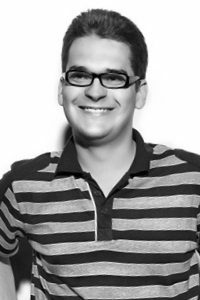 He was a lead developer of the latest versions of Community Core Vision – an open source multitouch vision system and a mentor at Google Summer of Code 2011 project from the community. His team won Microsoft Imagine Cup 2009 Russian Final Intel’s special prize for “Most Innovative Project” and Audience Award (pair of interactive bracelets that allow to use multitouch gestures in air). 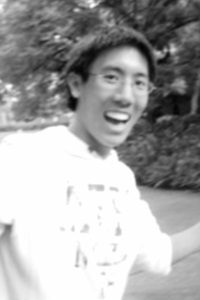 David Kim is a Research Intern in the Microsoft Applied Sciences Group. 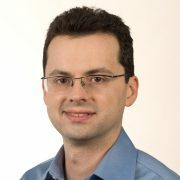 He is interested in enabling unencumbered 3D interactions in AR and HCI applications by combining novel sensors, computer vision and graphics techniques. 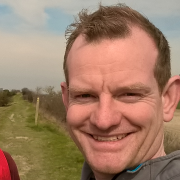 David is a member of the Digital Interaction Group at Culture Lab, Newcastle University and is an off-site Ph.D. candidate working within the Interactive 3D Technologies group at Microsoft Research in Cambridge. He received his M.Sc. in Media Informatics from Ludwig Maximilian University of Munich in 2008. The projects he recently worked on include KinectFusion, a system for real-time dense surface reconstruction and geometry-aware interaction with Kinect, HoloDesk, a situated see-through display that enables direct 3D interaction, and Digits, a wrist-worn gloveless sensor for freehand 3D interactions anywhere. In his spare time, David enjoys cooking, sketching, travelling and practicing taekwondo. 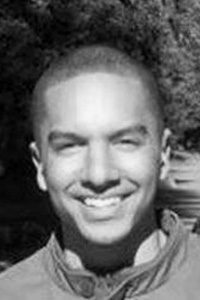 Gabriel Reyes is a Microsoft Research Intern in the Applied Sciences Group, working with Paul Dietz. He is exploring new sensing capabilities and building prototypes to enable more fluid interactions with computing technology. 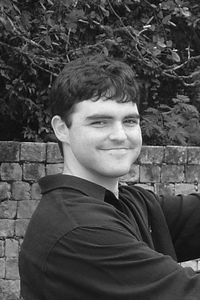 Gabriel is a Ph.D. student in computer science and human-computer interaction at Georgia Tech’s School of Interactive Computing, working with Keith Edwards and Gregory Abowd. Prior to joining Microsoft, Gabriel interned multiple times with Intel Corporation and received his BS/MS in Electrical Engineering at University of Florida. His main research interests are in interactive systems, including new hardware devices, sensor networks, mobile computing, UI design, and human-computer interaction. In his free time, Gabriel enjoys traveling, playing basketball, improving his foreign language skills, and trying out new adventures with family and friends. 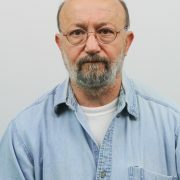 You can learn more about Gabriel and his research at http://www.gareyes.com. Yoshiki Takeoka is a Microsoft Research Intern in the Applied Sciences Group. He is interested in the intersection of engineering, science, design and human to invent new ways of interacting with computers. 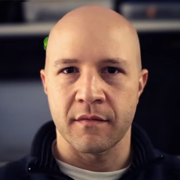 His primary interest is in bringing the REAL world to the computer world and bringing computing to the REAL world. 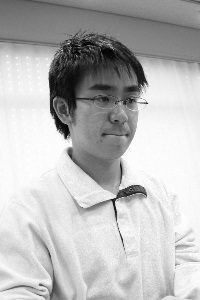 Takeoka is currently a Ph.D. student in Computer Science at The University of Tokyo working with Jun Rekimoto. 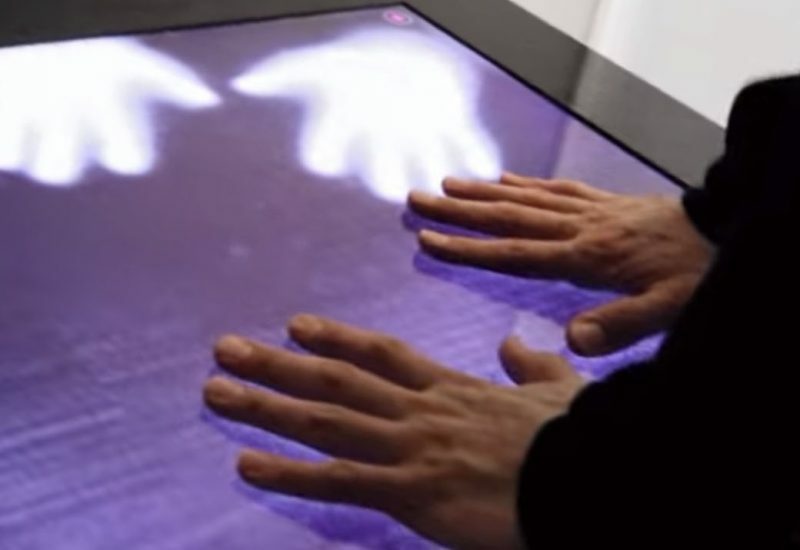 In 2010, Takeoka received Outstanding Super Creator award from IPA (Information-technology Promotion Agency, Japan) for the development of Z-touch; a 3D-sensing multi-touch system. He completed his Master’s degree at The University of Tokyo. 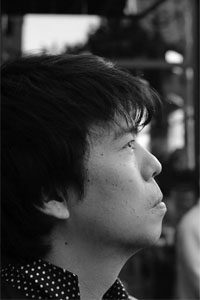 Prior to joining Microsoft, Takeoka interned at Sony Computer Science Laboratories, Inc., The University of Tokyo Edge Capital, and JST( Japan Science and Technology Agency) ERATO User Interfaces for Design UI Project. He was also the Chief Creator of IPA 2009 Exploratory IT Human Resources Project (MITOH Program). You can find more information of Yoshiki at http://www.yoshikit.net. Enliang Zheng is a research intern in the Applied Science Group. 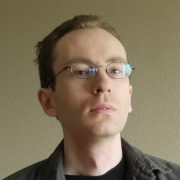 His main interest is in computer vision, computer graphics, and machine learning, especially in image based modeling and rendering. He believes computer vision will change the world in the future. 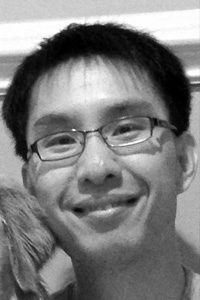 Enliang currently is a Ph.D student in Computer Science at The University of North Carolina at Chapel Hill, working with Jan-Michael Frahm. Before attending UNC-Chapel Hill, Enliang received his Bachelor degree from Shandong University and Master degree from Shanghai Jiaotong University, China. In his free time, Enliang likes playing table tennis, travelling, hiking, and playing xbox with Kinect. 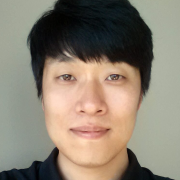 Jinha Lee is a Microsoft Research Intern in the Applied Sciences Group. Jinha is exploring novel 3D, tangible, and gestural interfaces, as well as new visualization of the web and abstract data that afford these new interaction modalities. 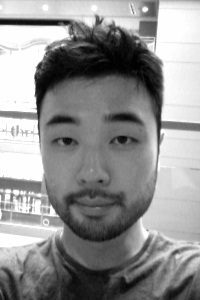 Jinha is currently a Ph.D. candidate from MIT Media Lab, working under Professor Hiroshi Ishii’s guidance. Prior to joining Microsoft, Jinha interned at SONY CSL, received his Master of Science from the MIT Media Lab, and his Bachelor in EE from the University of Tokyo. His works have been presented at academic conferences including ACM UIST, CHI, and SIGGRAPH Emerging Technologies, and exhibited at Japan National Museum of Emerging Science and Innovation. In general, he is crazy about kinetic art, levitation, physics, science fiction, Italian films, piano, kimchi and natto. You can find more information about Jinha from http://leejinha.com. Albert Ng is a Microsoft Research Intern in the Applied Sciences Group. He is developing an ultra-low latency touch interface and studying the effects of latency on the user’s performance on various tasks. 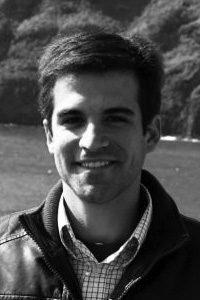 Albert is a Ph.D candidate in EE at Stanford University, pursuing research in Computer Architecture under Dr. William Dally. He received his Bachelor in EE at the California Institute of Technology, with a background in Embedded Systems and Digital Design. He has done research in protein structure prediction, asynchronous VLSI, and is now interested in HCI and high performance computing. In his spare time, Albert can always be seen playing Ultimate Frisbee. You can find more information about Albert and his undergraduate work at http://async.caltech.edu/~albert/. Eli White is a software engineer for Microsoft’s Applied Sciences Group focusing on personal and home automation. He attends the University of Washington and is working towards receiving a degree in Computer Science. Before joining the team White worked on Microsoft’s ASP.NET team developing Razor and ASP.NET WebPages. White enjoys developing software that interacts with hardware devices for novel purposes. In his free time, White enjoys jumping over walls and under railings while practicing Parkour. 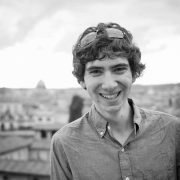 David Wolpert is a Microsoft Research Intern in the Applied Sciences Group, working on human-machine interaction. Dave received a Ph.D. in Electrical Engineering from the University of Rochester in 2011 in the EdISon research group working under Professor Paul Ampadu. His background includes B.S./M.S. concentrations in VLSI, Optoelectronics, and Computer Architecture. He has worked with the Technology Transfer Office at the UofR on developing technologies such as a Navigational Assistant for the Visually Impaired (NAVI), a thermovest environmentally-activated temperature-regulation system, and a few museum exhibits with the Rochester Museum and Science Center. David has also interned at IBM’s microelectronics division in Essex Junction, VT, and during his Ph.D. studies has written a textbook, an edited book chapter, three patents, and about fifteen peer-reviewed publications. 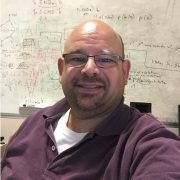 Dave’s current research interests include variation-tolerant adaptive systems, emerging technologies, and emerging devices. He also enjoys thinking in a box, thinking out of the box, reading about old discoveries, trying to make new ones, and the occasional video game. 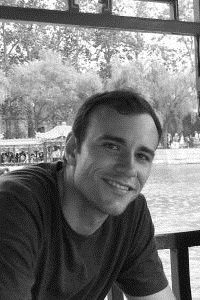 Sven Kratz is a research assistant working for the Mobile Interaction Lab at the Department for Informatics of the Ludwig-Maximilians-Universität (LMU) München in Munich, Germany, where he is also currently pursuing his PhD studies. His primary research focus is on sensor-based mobile interfaces that allow for novel types of interaction. This includes gesture recognition, interaction based on distance sensing and pressure, tabletop applications for mobile devices and optical tracking technologies. Sven also conducts research into mobile interfaces providing efficient navigation of large information spaces such as maps or 3D environments. Sven received his Diplom degree in Computer Science from RWTH Aachen, Germany, in 2007. During his free time, Sven enjoys sailing, tennis and travelling. Matthew J. 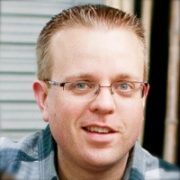 Large completed a research internship at Microsoft Applied Sciences Group, Redmond, WA, in 2009, and has since returned to the Applied Sciences Group. At Microsoft he works on human-computer interaction devices utilising the Group’s novel display and sensor technologies. He is currently studying MPhys Physics with Satellite Technology at the University of Surrey, UK. 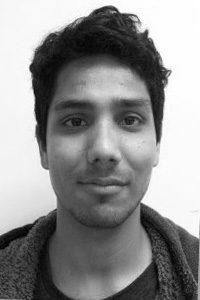 His research interests include 3D displays, green energy and self-assembling nano devices and he is a student member of the Institute of Physics.